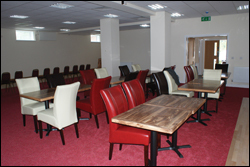 Mardons Social Club of Midsomer Norton - All about what the club has to offer, it's many facilities and the benefits of becoming a club member. Mardons, a social club for the local community. We're tucked away on the Nightingale Estate on Norton Hill, opposite the school and have been around for over thirty years. The original building was built for the employees of the former Mardons factory and over the years has developed into a social club that is used and depended upon by much of the local community. Though essentially a members club, we are open to ANYONE. The club is here to be used and enjoyed by all. New faces are always welcome, so stop by and give us a visit to find out more about what we have to offer. The Social Club is open to anyone who'd like to come and visit. If you find that you enjoy your time with us, we'd appreciate it if you became a member it's just £5 which gains you a substatial discount (approximately 10% less) on our bar prices, if you hand over the membership card at the start of your round. You will also recieve exclusive access to drinks promotions and offers as well as priority when tickets for special events go on sale. 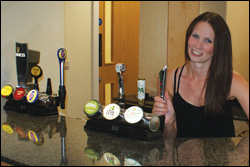 Membership forms are available from behind the bar. Membership runs from July - June, renewals will start in May. We are an easy going, family friendly club that encourages visitors of all ages (children must be accompanied by a responsible adult). If you're looking for a quiet evening drink during the week or a lively Saturday night out, come and spend some time with us. The Social Club has a large capacity and our drinks are extremely good value, in fact our 'social club' prices are some of the cheapest in the area! The club is a great place to hold any function, Birthday parties, receptions, christening parties and fundraisers, if you have any requests for the use of the club, please let us know. We are now offering free hall hire have a look at the information on this site to see if you can make use of this facility. Charity events are always well attended by our guests and as a club we will support any endeavour to raise funds for a worthy cause. We work hard to support local charities such as Dorothy House Hospice Care and the RUH Cancer Care Campaign and hold quiz nights, fancy dress events, raffles and other functions in order to raise the much needed funds. Over the years we have raised many thousands of pounds for charity, and will continue to do so, with the help of our members. All major sporting events are shown on tour multiple TV screens and on our HD BIG SCREEN PROJECTOR. We have a dedicated pool room and well-maintained table, and we are pleased to have teams that play out of the club. We have facilities for darts and we are extremely happy to have a home darts team and would welcome more. We have an excellent skittle alley with regular teams attending. If you'd like to book the alley for an evening out with friends or work colleagues, let us know and we'll try to arrange it. We now offer wireless internet connection at the Social Club, anyone wishing to access the internet on their laptop or mobile should ask for the connection details from behind the bar. If you want to know more about the facilities, please get in touch.